Haq's Musings: Israel in Alaska? "Our proposal is: Give a piece of your land in Europe, in the United States, in Canada or in Alaska so that they can create their (Jewish) state," said the Iranian President, Mahmoud Ahmadinejad, back in 2005 at a conference in Mecca, Saudi Arabia. To the extent that Alaska was mentioned as a proposed homeland for Jews, it seems that a former US Interior Secretary Harold Ickes beat Mr. Ahmadinejad by almost 70 years. The 1940 proposal by Secretary Ickes to lease a piece of land in Alaska for 60 years to Jews was vehemently opposed by Alaskans and other Americans and died before making it to the floor of the US Congress for a vote. 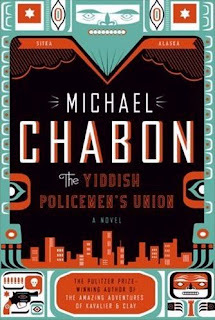 The Yiddish Policemen's Union is the title of a 2007 novel by Michael Chabon that just came out in a new paperback edition. In a "what if" story, Michael Chabon paints the picture of an imaginary Jewish homeland in Sitka, Alaska, that could have become reality had the Ickes proposal been adopted by the US Congress. Imagining Sitka as home for the three million European Jews — and their children and grandchildren — saved from the Holocaust, Mr. Chabon naturally gives them Yiddish as their national language as he sees life through the eyes of Meyer Landsman. Detective Landsman is a secular Jew investigating serious crimes including murder in Sitka. At times, the main character is quite irreverent. "I don't care what is written," Meyer Landsman says. "I don't care what supposedly got promised to some sandal-wearing idiot whose claim to fame is that he was ready to cut his own son's throat for the sake of a hare-brained idea. I don't care about red heifers and patriarchs and locusts. A bunch of old bones in the sand. My homeland is in my hat. It's in my ex-wife's tote bag." As both Muslims and Jews revere Abraham, many practicing Jews and most Muslims would find this language about him extremely offensive and the author worthy of strong condemnation. The author points out that European Jews have not been able to settle down and live anywhere in the world for very long periods of time. They have always had to deal with "canceled leases" and forced to move many times in history. They expect the same in this imaginary homeland in Alaska as the lease is about to run out. Talking about imagining alternative history, it would be interesting to see how Palestinians would have fared had Israel not been established where it is in the Middle East. Would they be like other Arab states in the neighborhood like Syria or Jordan or Egypt? Or a weak state like Lebanon controlled by a bigger neighbor? Authoritarian? Undemocratic? Or would they have chosen a different, more liberal, more secular and democratic society? Or would they have become a conservative Islamic state like Iran? Would they have lived in peace with their neighbors?